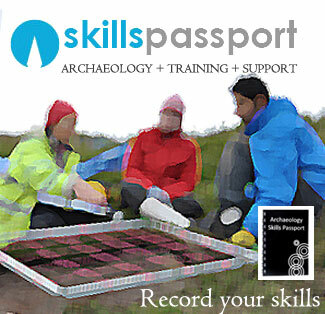 Field-walking can be either gridded or transect, you should be able to assist in an organised survey with collected artefacts suitably located, recorded, sorted and cross referenced. The results can then be analysed on a plan or in a GIS program. PRINCIPLE: Carry out a systematic collection of artefacts from the ground surface with either gridded or transect methods. Novice – understands the purpose, but needs more practice in organised collecting and recording of finds. Competent – Is able to work as part of a team, to record and layout a field-walking grid or transect, but may need some supervision. Collect as much background information on the types of sites, materials, previous work and map evidence before actually setting foot in the field. Grid-walking involves the group surveying 100% of the available in a grid format ( each square is given an identifying number . The finds are compared between the different grid squares. Transects, or lines, are marked out and mapped by a surveyor. Transects can be a variable distance apart, between 10 m and 40 m distances between the transect lines. Finds are compared between transects, where regular “bag drops” along the length take place. Simply walking over areas of disturbed soil, such as ploughed fields, without any method can help to spot whether a place is worth investigating in more detail. You don’t have to retain all the 19th century pottery (as this may have come from nightsoil midden material) – but do perhaps note it’s presence in the field. The larger the pot sherd, the less likely it is to have moved from where it is found. Detecting with pinflags and GPS is also a good way to field-walk an area. Shovel test pits can help analyse better the content of finds in an area, if you feel there is a density.